Golden Gate Park, San Francisco is sprawled in 1,017 acres. This is 20% larger than the Central Park of New York . There is no scarcity for attractions and activities. Golden Gate Park is being a wonderful tourist destination which never fails to drown the tourists from carousel riding to sipping Japanese tea. What else the tourists need to do here? 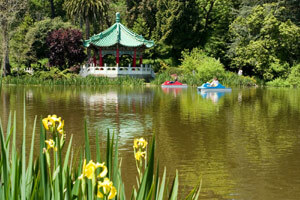 Join us & have a quick glance about the Golden Gate Park top tourists attractions and activities. De Young Museum is a must-visit-tourist place in San Francisco, which withholds jaw dropping collections of American art from 17th century till now. Many modern arts, art from Oceania, Africa, and Contemporary art are in huge collection. An extraordinary view of San Francisco and the Pacific Ocean are the visual treat from the 9th floor observation level of De Young’s Hamon Tower. De Young Museum is open from Tuesday to Sunday, De Young Museum hours are from 9.30 am to 5.15 pm. Mondays and Holidays are off. The most ancient conservatory of Flowers is home to a huge collection 1700 plant species around the world. Rare orchids, lily pads, a century-old philodendron are some of the collections. This alluring glass green house is open from Tuesday to Sunday from 10.00 am to 4.00 pm. Thanks giving day and Christmas are holidays. Discount is available for San Francisco residents. 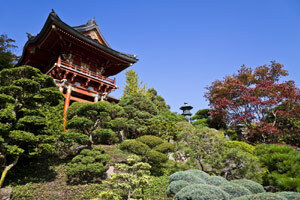 Japanese Tea Garden was constructed in 1894 as a part of Midwinter International Exposition. The tea garden spans in five acres with aroma. There are many sculptures, bridges which have been a pleasant surprise to the visitors. It is a high time to taste traditional tea and cookies after exploring the entire garden. This is a spectacular artificial lake located at the centre of the park. The Stow Lake Boathouse avails row boats, pedal and electric boats for rental. The views around stow lake are stunning. The Boathouse café sells tasty food, snacks and drinks to boost the tourists’ energy for proceeding park adventure. It is the loveliest place to spend afternoon. This place is dedicated to the people who have been affected by AIDS. It signifies not to forget the global tragedy of AIDS. This AIDS memorial grove is open to public. Art events and weddings are hosted here. Buffalo Paddock is being a home for a few American Bison. Besides Bison, animals such as goats, elk, and bears are strolling in the free environment. This strawberry hill island is the highest point measuring 430 feet altitude. This hill is the centre of attraction of Stow Lake. The Roman Bridge is on both the sides, stunning views of Golden Gate Bridge and Mt. Tamalpais can be seen from here. The Golden Gate Bridge Pavilion is a Chinese temple-like look, the apt place for meditation. 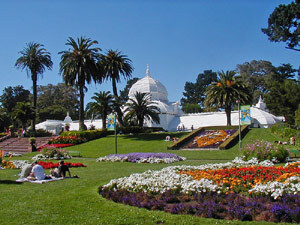 In the Golden Gate Park, tourists can enjoy the top activities like Skating, Biking, Soccer, and Archery fields, Tennis, Handball and Disc Golf. Golden Gate Park will never make the tourists to get back from there wholeheartedly.